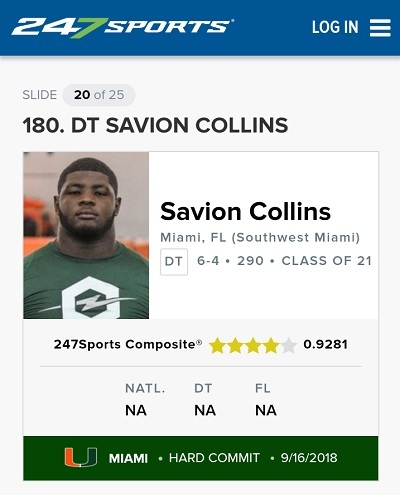 Southwest junior-to-be Savion Collins is now rated a 4-star recruit by 247 Sports. Collins, who is committed to attend the University of Miami, is ranked the 180th best recruit in the country by the web site. He was clocked at 4.8 in the 40-yard dash in February, which is outstanding for a 290 pounder. SWEaglesSports.com will be running a series of previews in advance of the 2019 season. 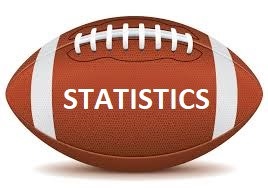 Our second installment previews the running backs. The Eagles are strong at the running back position in 2019 with several talented backs returning along with a heralded transfer. ADDITIONS: Junior-to-be Malik Allen has transferred from Northwestern to Southwest. The other key addition is former FIU running back Torrence Seymour, who will coach the running backs this year. Senior-to-be Deondre Henry, who has lead the team in rushing the last two years, expects to have a record-breaking year. His quickness, vision and instincts helped him rush for over 600 yards and 6 touchdowns and he looks to improve on those numbers dramatically this year. Henry has goals of 1000+ yards rushing, 10+ touchdowns, and a playoff appearnce for Southwest. Junior-to-be Edwin Allen returns as the second leading rusher from last season. He rushed for 350 yards and one touchdown. A running back with a receiver's skills, he showed off his versatility last season, catching five passes and operating as the return man on kickoffs. Spring football will be Edwin's opportunity to show the coaching staff that he deserves more touches. Allen is a weapon that can be moved all around the field to keep defenses off-balance. Even though Henry and Allen represent a more than solid top 2, arguably the most talented runner on the roster is sophomore-to-be Joel Talley. He played sparingly his freshman season, recording 16 carries for 39 yards and one touchdown but is expected to be more of a contributor this season. Holding on to the football was a big issue with him last year. To challenge him for that role, Southwest brought in Northwestern High transfer Malik Allen. 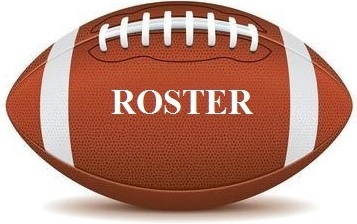 The junior is a former top youth league player that is a well-built power back at 5' 11" and 170 pounds, and the coaches will look to see what he can bring to the rotation this spring. Southwest will host Homestead on May 22 at 3:30pm in the annual spring game. As for the regular season schedule, no dates have been announced, but the Eagles 2019 opponents will be Doral Academy (preseason game), Coral Park, South Miami, Miami High, Belen, Palmetto, Killian, South Dade, Jackson, Coral Reef and Coral Gables. Lamont Green, former head coach at South Miami and Southridge, has joined the Southwest staff as linebackers coach. 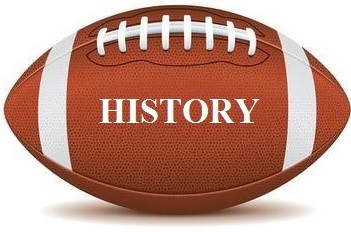 A 1994 graduate of Southridge High and Florida State University, he played for the Atlanta Falcons in 1999. After his playing career ended, Green earned a Master's Degree in Education from Nova Southeastern University. He began his coaching career as an assistant at Krop and became head coach at South Miami in 2011, taking over a team that had won only three games combined in its previous three seasons. Green led the Cobras to a 9-3 season and their first playoff victory since 1987. The next season, he was named head coach at Southridge, replacing former Southwest coach Patrick Burrows. In 2015, Green moved to Florida Christian where he served as assistant head coach. Among his many honors, he was named USA Today’s High School Defensive Player of the Year in 1993, All-ACC and team captain at FSU, and was the Miami Herald's Coach of the Year in 2011. The Florida High School Athletic Association (FHSAA) has announced the new district alignments that will be in effect for both the 2019 and 2020 seasons. 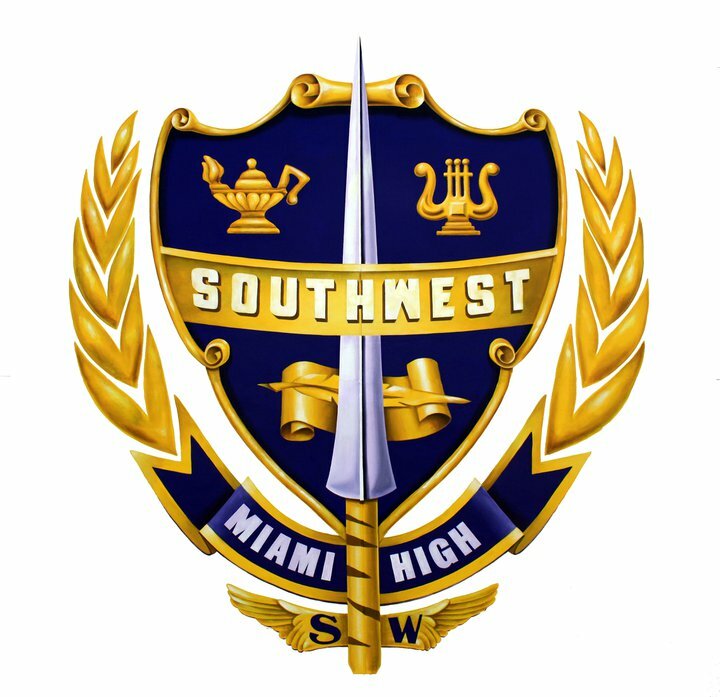 Southwest remains in the highest classification (8A) but moves south from district 15 to district 16. The 4-team district also includes Coral Reef, Palmetto and South Dade. 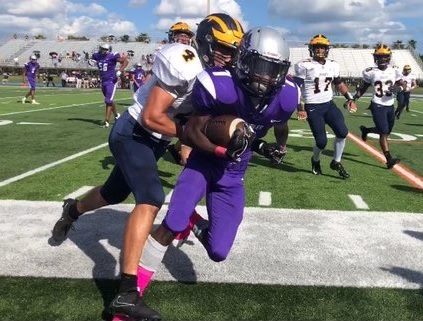 Senior-to-be Deondre Henry, seen above in action against Belen, has the led the Eagles in rushing the past two seasons.